Rules over the past 5 years have also changed. If you cross over a land border today into Thailand you only get 15 days stay and not 30 as it was before. 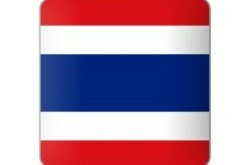 Contact the Thai embassy in your country about the tourist visa for Thailand. Do not overstay your tourist visa in Thailand. Applying for a tourist visa in Asia can be difficult as they claim that many expats abuse the tourist visa to live in Thailand with the incorrect visa. There are a number of Thai embassies in the region that are difficult to obtain tourist visas from. These would be the Thai embassy in Laos, the Thai embassy in Cambodia, also the Thai embassy in Malaysia and last but not least the Thai embassy in Singapore and the Thai embassy in Vietnam. They are very tough on visa abuse so apply for the correct visa. 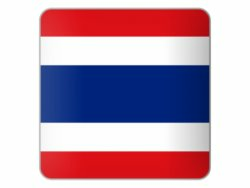 If you are working in Thailand obtain a business visa or if you are married then apply for a Thai marriage visa as the tourist visa is frowned upon if you have had more than 3 in the last year. Other Embassies in the world which expats claim have some of the fastest turn around times when applying for a marriage, business, retirement or tourist visa are the Thai embassy in Hull, also the Thai embassy in New Zealand and the Thai embassy in Malaysia and the Thai embassy in Australia and finally the Thai embassy in Atlanta in the US.